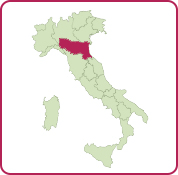 The Emilia Romagna region sits in between Lombardy and Tuscany and is still unknown to many tourists. When you drive from north to central Italy you will pass through this region and it's certainly worth to stay there for a few days. From an agriturismo in Emilia Romagna you can properly explore the area. Bologna is a beautiful dynamic city, you should not miss the culinary city of Parma and Modena is a must see. But did you know that also the famous beach resorts of Rimini and Ravenna are situated in Emilia Romagna? Until now I did not find a beautiful agriturismo in Emilia Romagna yet. But finally I have found one that I liked and hopefully more will follow in the future. In this region they are particularly proud of their culinary heritage. And they should be, because they produce some of Italy's best-known food products such as Parmesan cheese, Parma ham, balsamic vinegar and stuffed pasta like tortellini. And where you can taste these local delicacies better than in an agriturismo in Emilia Romagna. Moreover, the car manufacturer Ferrari also finds its origin in this region and can visit the museum in Maranello. On the map you can see where the agriturismos in Emilia Romagna are located that I have selected. I have described my visit to the agriturismo and added many photos. 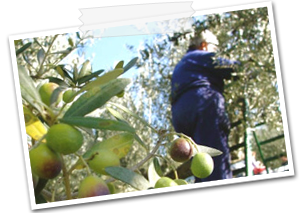 But if you need help finding the right agriturismo in Emilia Romagna, do not hesitate to contact me. Based on your wishes, I will help you make the right choice for a great holiday in Italy.